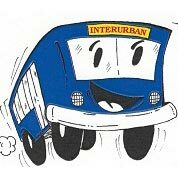 The Interurban offers local public transportation service in and around the greater Saugatuck Douglas area. Just call 857-1418 for a pick up. Adult fares are $1.00, Children under 12 and Seniors are just .50. Forget the hassle of driving and parking and enjoy the ease of being shuttled anywhere in the area including Oval Beach! Lift equipped vehicles are available. The Interurban also runs a free shuttle service from the parking lot of the Saugatuck High School to downtown Saugatuck with stops at the chain ferry and the information booth on Butler Street. The shuttle will operate on weekends from May 28 through Labor Day weekend. Saturday 9am-8pm and Sunday 10am-6pm with additional hours on special event days. The shuttle also runs July 4th and July 29th (Venetian Night) from 10am until after the fireworks.